Screening tests for you and your baby is given to all women during pregnancy and includes all the antenatal and newborn screening tests we offer. 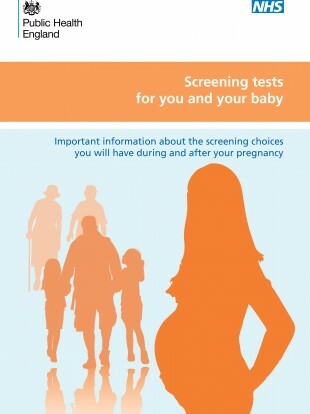 We have updated the booklet to remove the offer of screening in pregnancy for rubella (German measles) susceptibility, which ends in England on 1 April 2016. Trusts should therefore use the new version of the booklet for all women booking pregnancies from 1 April 2016 onwards. Women booking on or before 31 March 2016 should be given the ‘old’ version that includes the offer of rubella susceptibility screening. Please discard/recycle any remaining copies of the ‘old’ booklet after 1 April.